HOT: Dog Snuggies just $3 Shipped – Any Size! 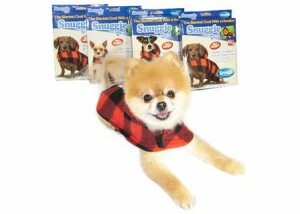 Tippr is offering a plaid Dog Snuggie for just $8 today (in ANY size) – new members will receive a $5 credit immediately upon sign-up, making this deal just $3 (reg. $16) + this deal includes FREE shipping! Head over now and grab yours before they sell out!